If you’re going to be a stylish mom you must get over your fear of hats. One of the easiest ways to instantly add panache to even the most ordinary outfit is with a hat. But not just any hat. It has to be a fashionable hat (see photos above). And there is one hat that is almost always a no-no – a baseball cap. If you have to wear one to support your kid’s team then at least wear it stylishly. Don’t put your ponytail through the hole in the back. Wear a low ponytail (like this) or simply let your hair hang down (like this). Don’t tuck it behind your ears. (In fact, don’t tuck your hair behind your hears when wearing any hat.) You can even try pony tails or braids like this. Now, hat placement. Unless you want to look like Debbie Gibson circa 1984, don’t wear hats on the back of your head (the only exception is the beanie which is sometimes called a beret). Most should be worn covering the forehead, especially fedoras. Vanessa Minillo wears it correctly in this photo. For cold weather, try this style (worn by Paris Hilton). 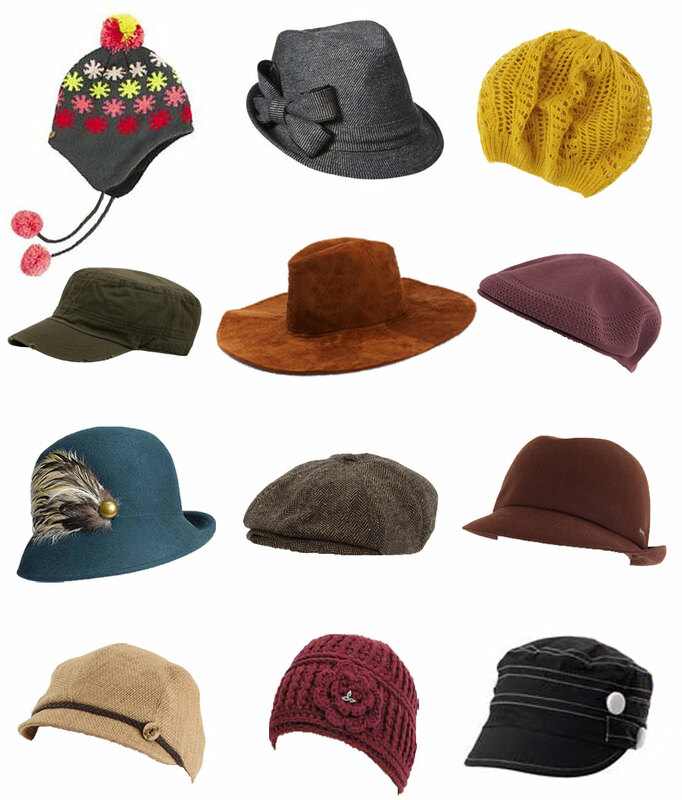 If the thought of wearing a hat scares you, why not start with a military or newsboy cap in black or brown? Then, once you get more comfortable you can move on to a fedora or cloche. And the biggest bonus of wearing hats? You don’t need to do your hair – a major time-saver for moms. Who doesn’t want to save time and look good? NOTE: Most of the hats shown are available in various colors so if you don’t like the color here, click the link to see alternatives. Open-Knit Slouchy Beret ($9.50, Charlotte Russe) – Mustard yellow is one of fall’s hottest colors. Faux Suede Floppy Hat ($14.50, Charlotte Russe) – These hats are all the rage for fall and winter. Kangol Tropic Ventair Newsboy Cap ($35, Zappos) – free shipping both ways! I have had one of these in black for years and worn it hundreds of times. Jessica Simpson Feathered Cloche ($48, Nordstrom) – free shipping both ways! Kangol Tropic Duke Fedora ($48, Zappos) – free shipping both ways! I just bought one of these. Brixton Brood Newsboy Cap in brown/khaki herringbone ($34, Zappos) – free shipping both ways! San Diego Hat Company Jute Jockey Hat ($36, Zappos) – free shipping both ways! Prana Eden Beanie ($26, Zappos) – This small beanie should be worn over the top of the head covering the forehead.